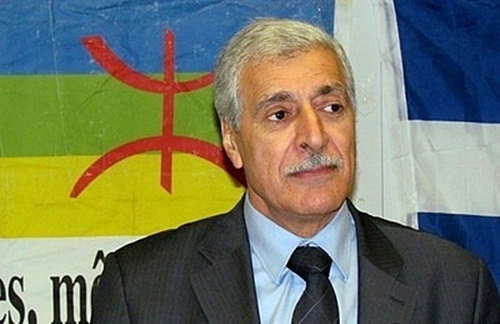 Rabat – Amazigh activist and interim president of the tribal government in Algeria, called the Provisional Government of Kabylia (GPK), Ferhat Mehni praised the efforts undertaken by King Mohammed VI in order to advance the rights of the Amazigh in Morocco, highlighting that the GPK needs the help and support of the Kingdom. Mehni, also an acclaimed folk singer, started the GPK in 2001 to further establish the movement for the separation of the “northern Algerian state of Kabylie.” Now living in France after his exile from Algeria, Mehni is fighting for regional autonomy in protest of Algerian efforts to “assimilate minorities” into the Arabized Berber majority. The Algerian activist said that relations been the GPK and Morocco would be different from the strained relationship between Morocco and Algeria, because the GPK does not recognize the self-proclaimed Saharawi Arab Democratic Republic (SADR). Mehni said he recently visited the Tindouf area in the southwestern Algeria and met many of its inhabitants. He pointed out that the Saharawis in the area have a “great and strong loyalty to Morocco.” He expressed his opposition to the Polisario leadership and his advocacy of Moroccan sovereignty over the Western Sahara. In the event GBK gains independence from Algeria, which Mehni said was likely to happen, the new state would depend on knowledge and technology to compete with Western countries in the age of modernity. “Algeria has failed to find a community project to help the GBK progress,” he said. Last October, Morocco declared its support for the residents of Kabylia during the 70th session of the General Assembly of the United Nations, a move that took Algerian officials by surprise and signaled a new approach in Morocco’s handling of its feud with Algeria over the Western Sahara conflict.